taiyoutenshi | I review books. Congratulations to Vivian, who won Hunted, and Jamie, who won A SEAL in Wolf’s Clothing via the random number generator! Both the winners have contacted me with their addresses. Thank you to everyone who entered and I hope to see you again soon. The young selkie princess closed her deep, blue-green eyes listening to the sound of the wind through the palm trees and the waves crashing against the beach, ever since losing her skin, she longed to return home. Damn the local lord, with his amber eyes and short, red hair, for entrapping her and damn herself for letting herself get lost in promises that turned into ash. Sariah didn’t know where Lucan kept her skin but she knew that it was in whatever chest the key around his neck unlocks, he had a few around the room. Most were for his gold or other possessions. It was late at night, but the moon was full; she had always felt restless, however, the fuller the moon got, the more she felt the call of the sea in her blood, her heart and her very soul. “Come to bed, Sariah…” Lucan entreats her, softly. “Give me just a little more time, Milord.” Sariah turns her head to respond to Lucan before turning back to stare out the window. She waits until he is deeply asleep, then like a ghost, takes the key from around his neck and looks around the room as Lucan rolls over in his sleep. She finds the chest and unlocks it, only to freeze as the rusted, iron hinges of the old, warped chest creak loudly. “Take your skin back, my beauty, but never forget I loved you…” He swings out of bed and stands, moving towards her, before hugging her from behind. Sariah twists in his arms before pulling away gently to take the seal skin out of the oak chest. “I won’t, but my home is the oceans and you, as a man, will never understand that. Perhaps we shall meet again, if the fates allow.” She kisses him softly, a final goodbye. With that, she slips out the window, taking the ladder she had hidden in a shadowy alcove and climbs down it slowly, her skin tucked tightly under one arm, before stepping onto the beach below, a lone palm tree sways in the wind. Her hair blows around her as she strips off her nightgown and steps into the water. It swirls around her ankles, and she shivers in cold and delight from finally being able to be free, before covering herself with her seal skin. She looks back at Lucan’s mansion and briefly wonders what might have happened if she let herself stay before mentally shaking her head to clear it and starting the long journey back to her home. It’s Friday… Let’s have a contest! 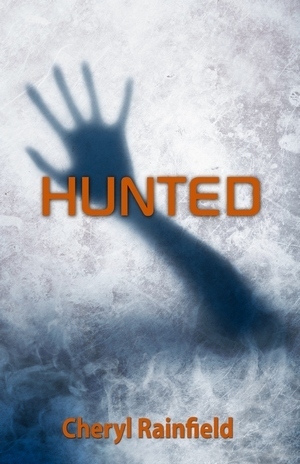 Today I’m giving away a copy of Hunted by Cheryl Rainfield and an ARC of A Seal in Wolf’s Clothing by Terry Spear. Post a comment to enter the giveaway, I’ll be using a random number generator after Friday, May 11th at 11:59pm EST. This book starts off slowly but keep going and you will quickly find out that nothing is as it seems, after the slow beginning it picked up speed very quickly and the romance in it was subtle enough that I didn’t feel bashed over the head with it like in so many other romance novels (dystopian or not), although it could have easily been left out and still been an enjoyable read. 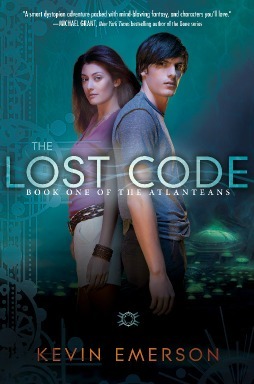 The book’s ending leaves me to wonder, if Lily isn’t the other Atlantian, who is? And what challenges will they face next? It can be bought at Amazon & Barnes & Noble. Kevin can be found on Goodreads, Twitter as well as his own website. While you’re there, if you’re a music lover check out his band The Board of Education. 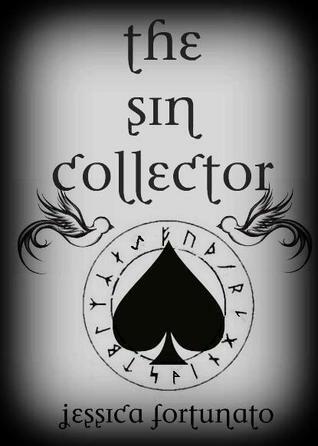 “The Sin Collector” follows the life of Liliana, a born Sin Collector. She has spent over 100 years absorbing people’s sins so they may rest in peace come death. However when she meets another Collector, one who insists everything she has been taught is a lie, Liliana must make her way from Sunny L.A. all the way to the streets of Madrid. Searching for answers to a question we all share. Why are we here? The friends and enemies she makes along the way only seem to blur the line between right and wrong. Can Liliana fight the Castus, an organization bent on killing off every Sin-Eater? Should she trust her head or her heart when the two most important men in her life are fighting alongside her? Then there is the worst question of all, who will be left when the dust settles? I was gifted this book sometime ago (I know, I’m late. I had a lot going on and will be playing catch up this month! ), once I started reading it I could not stop. I got sucked in from the first page to the last! Lili is a delightful character to see through and the mysteries that are shown and bought to light along the way just makes for a more enjoyable read, this chapter may have come to a close but there is more to come and I for one will be looking for the next in the trilogy eagerly! If you haven’t picked this book up yet, what are you waiting for? Jessica can be found on Goodreads, Twitter, and her Website. Jon didn’t expect to be confronted by a pack of vengeful ghosts at his new boarding school. Now he and his friend Ella must uncover a centuries-old murder, all while haunted by terrifying spirits. 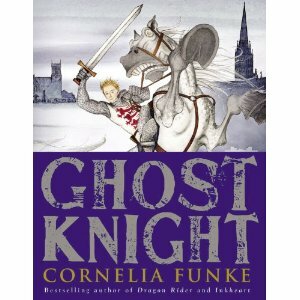 When Jon summons the ghost of Knight Longspee, only one question remains-can Longspee be trusted? To be honest, for being a Kidlit book, I really had a hard time finishing this – the drawings are very distracting and I’ve put the book down several times before finally being able to finish it. I didn’t like the characters at all, Jon was far too Emo and everyone seemed cookie cut, even Ella didn’t get the fleshing out that a lot of characters do. I am honored to be a part of the blog hop celebrating Carrie’s birthday today, She’s wonderful to talk to and I was surprised to learn that she’s younger than I am age wise (I will be 29 in about 6 months) – she certainly doesn’t sound her age at all! Now onto the reason you’re here, giveaways! Thanks to the many people who helped me put this together, including (but not limited to) Natasha Duncan-Drake (@beren_writes), Cheryl Rainfield (@CherylRainfield), Patti Roberts (@PattiRoberts7) and everyone who intentionally or not, gave me enough items to put together a massive swag pack. Thank you all, but I especially have to thank Kenya Wright (@Firebaptizedd), she not only offered one of her e-books as part of the prizes given away but she also sent me a paperback copy as well for the blog hop. Because of that, those of you in the US/CA will have a chance at it, along with a swag pack included. I haven’t forgotten any international readers either, you will have the option of choosing an e-book pack of your choice; I have gathered two of them, one for Amazon’s Kindle and one for the Nook and other e-readers such as Kobo. If the second winner choses the same pack as the first, both will have the same books, I will re-draw and will also do so if I do not hear from any of the winners within 24 hours after the contest is over – it will last until Saturday, April 7th at 11:59 pm EST.